While Boeing was working on its Air Service order for 200 MB-3As, it also began design studies on another fighter, the Model 15, as a private venture. This was to become the first fighter wholly designed by Boeing, which continued to supply single-seaters both to the United States Army Air Corps (USAAC) and US Navy for until the late 1920s. The Model 15 was a vast improvement over the MB-3. The first airplane was tested by a company pilot on April 29, 1923, and it was so promising that Boeing submitted the fighter to the Air Service for trials. After these had been completed, the Army purchased the original machine and ordered two others for further experimentation. There was nothing new or unusual in the appearance or construction of the XPW-9s, as the first planes were designated. In many ways they were actually similar to the Fokker D-7 of World War I fame, which was the best fighter the Germans produced during the course of the war. The PW-9 fuselage was slab-sided, of welded steel-tube construction with fabric covering, and the wings were wood structures with fabric covering. Like the Fokker, the Boeing fighter also had high-lift wings to improve handling characteristics at low speed. 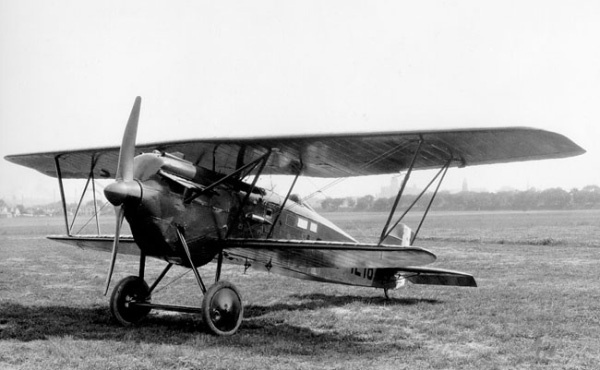 The Air Service ordered twelve production versions of the machine on September 19, 1924, and later increased this to thirty. Further contracts brought total production to 84. These orders were for PW-9A, C, and D models. Two examples had engine changes and were designated XP-4 and XP-7. The PW-9 was not outstanding and it set no records. Normal armament was two .30 caliber synchronized machine guns, which made it comparable to World War I fighters in firepower. It was also slower than the Curtiss PW-8, but even with these drawbacks, the plane handled well. It remained a standard Air Service single-seater through 1928 until replaced by the Boeing P-12/F4B. A similar design, the FB-1, was built for the US Navy for operations from aircraft carriers. One 435 hp (315 kW) Curtiss D-12 water cooled V-12 engine. Two .30 caliber machine guns and one 244 lb. (111 kg) bomb. November 12, 2009. Updated October 13, 2013.